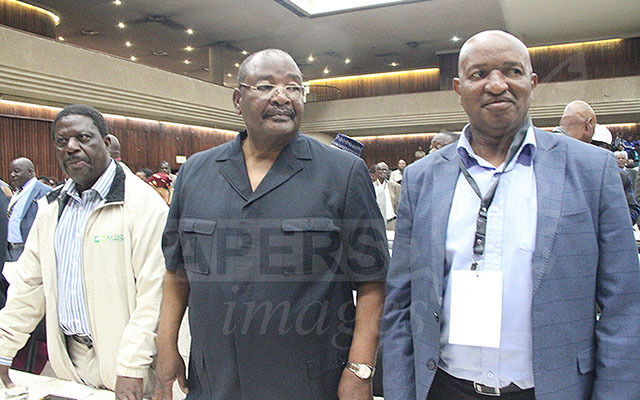 ZANU-PF yesterday recalled President Mugabe from the position of party First Secretary and replaced him with former Vice President Emmerson Mnangagwa whom the ruling party also reinstated as a Central Committee member. Cde Mnangagwa’s election as the Zanu-PF President and First Secretary would be ratified at the Extraordinary Congress slated for next month. 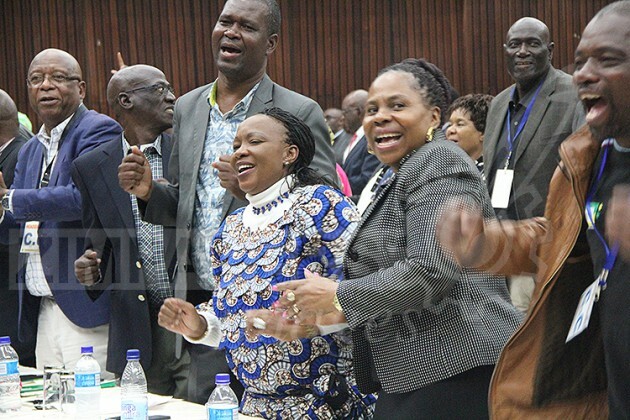 The party also said that President Mugabe must resign as State President by midday today failing which the party’s Chief Whip, Cde Lovemore Matuke, would institute impeachment proceedings in line with Section 97 of the national Constitution. 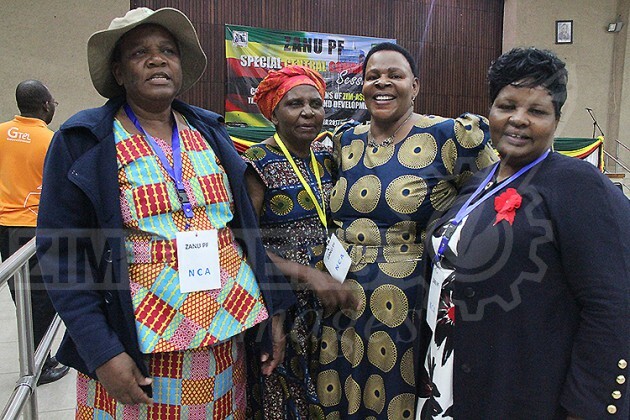 The party also expelled several members for various charges including Vice President Phelekezela Mphoko and Dr Grace Mugabe, who was the Secretary for Women Affairs. These decisions were made during a special Central Committee meeting held at the party’s headquarters yesterday. 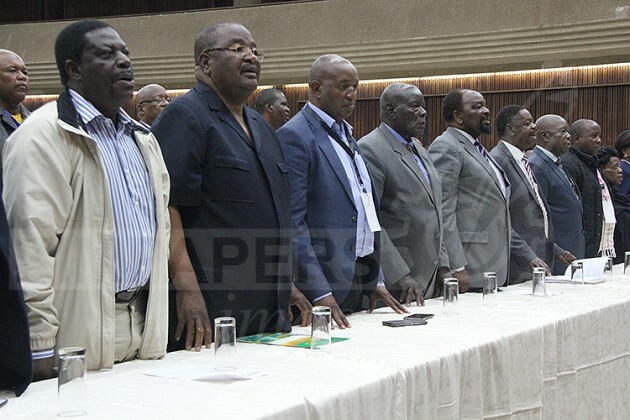 The Central Committee is Zanu-PF’s highest decision-making organ outside Congress and yesterday’s meeting was attended by 201 members out of 300 members. Reading out the resolutions of the meeting yesterday, Zanu-PF Secretary for Legal Affairs Cde Patrick Chinamasa said: “The first resolution was that the Central Committee on behalf of Zanu-PF expressed profound gratitude to the Zimbabwe Defence Forces for their intervention efforts in the internal affairs of the party as the governing party with a view of bringing normalcy both in the party and Government. “The Central Committee congratulated the masses of Zimbabwe for their participation in the historic solidarity march yesterday in support of the Zimbabwe War Veterans’ Association. 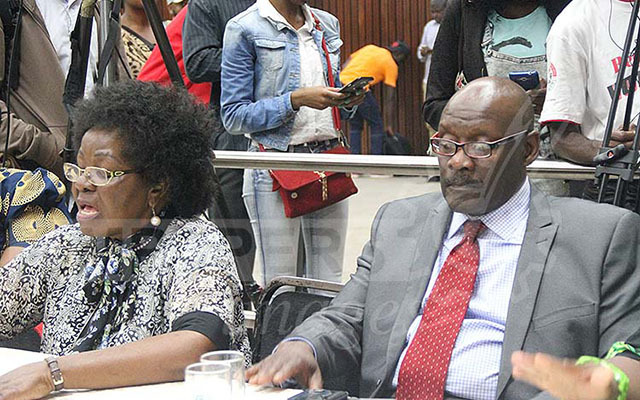 “The Central Committee also passed the following resolution -that the unconstitutional removal of Cde Emmerson Dambudzo Mnangagwa as Vice President and Second Secretary of Zanu-PF and his expulsion from the party be and is hereby nullified forthwith. The resolution also goes to restore him to his position as a member of the Central Committee. “There were recommendations made by the provincial coordinating committees suspending and expelling members from the party, the resolution is that these suspensions and expulsions be and are hereby nullified. 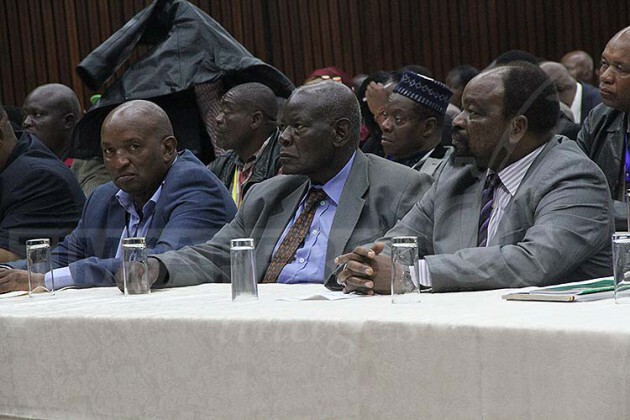 Further, that all members of Central Committee who were elected at the 2014 Congress and who were subsequently suspended or expelled from the party subsequent to the Congress on the basis of fictitious or fabricated allegations by the G40 cabal for protection of criminals be and are hereby reinstated. “Further resolution is that members from the lower organs of the party, that is provincial, district, branch councils who were suspended or expelled from the party subsequent to the 2014 Congress be and are hereby reinstated forthwith to the positions they held. “That Cde R.G. Mugabe be and he is hereby recalled from the position of President and First Secretary of Zanu-PF forthwith. Further, the resolutions that Cde R.G. 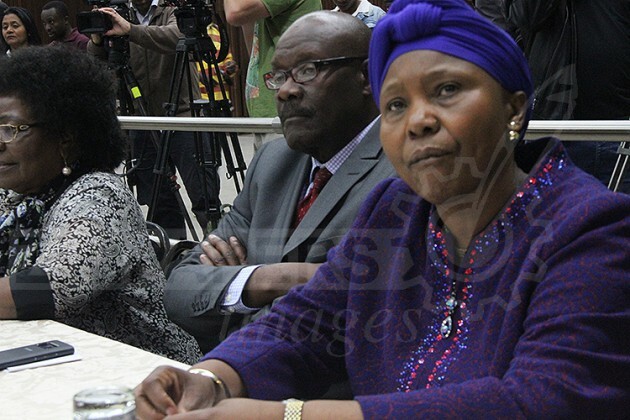 Mugabe should resign forthwith from his position as President and Head of State and Government of the Republic of Zimbabwe and if the resignation has not tendered by midday tomorrow 20 November 2017 (today), the Zanu-PF Chief Whip (Cde Lovemore Matuke) is ordered to institute proceedings for the recall of the President in terms of Section 97 of the Constitution of Zimbabwe. Cde Chinamasa continued: “That members of the cabal, namely Cde Mphoko, (Saviour) Kasukuwere, Jonathan Moyo, Ignatius Chombo, Patrick Zhuwao, Letina Undenge, Grace Mugabe, Kudzanai Chipanga, Walter Mzembi, Paul Chimedza, Makhosini Hlongwane, Anastancia Ndlovu, Mandi Chimene, Dr Samuel Undenge, Sarah Mahoka, Mtehlabayo Malinga, Xavier Kazizi, Tongai Kasukuwere and Innocent Hamandishe, Eunice Sandi Moyo and Shadreck Mashayamombe be expelled from the party. “That Grace Mugabe be and is hereby recalled from the position of Secretary for the Women’s League of Zanu-PF for promoting hate speech, divisiveness and assuming roles and powers not delegated to her office. That Cde ED Mnangagwa be and is hereby appointed as interim President and First Secretary of Zanu-PF pending ratification by the Extraordinary Congress scheduled for the 12th to the 17th of December 2017. 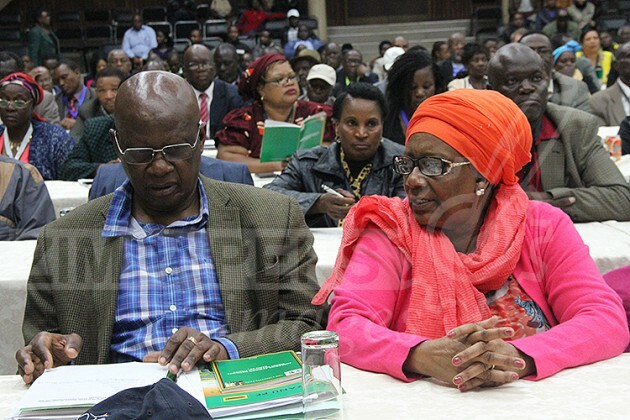 Cde Chinamasa said some of the resolutions touched on amendments of the constitution to remove the clause of one centre of power and restoration of the district coordinating committees. He said it was agreed that war veterans should be appointed in strategic positions both in the party and Government as long as they had the requisite qualifications. 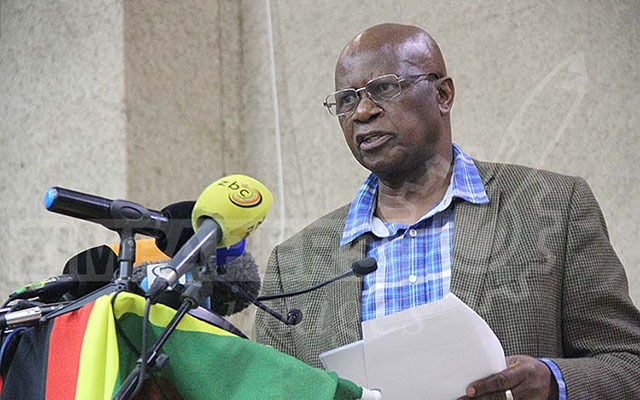 Cde Chinamasa said the Central Committee resolved to fill the position of national chairman that had been vacant for four years. 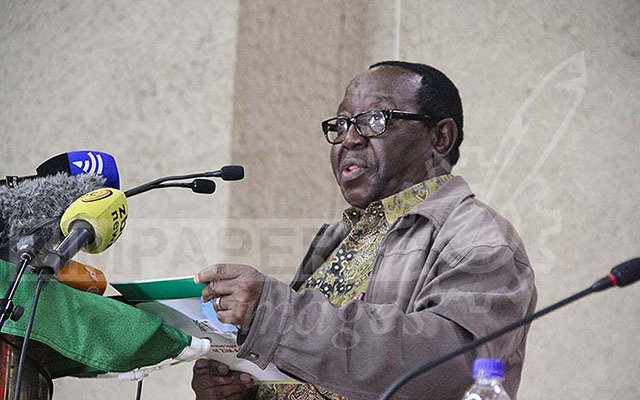 Zanu-PF Secretary for Information Cde Simon Khaya Moyo said the meeting also resolved that Cde Mnangagwa should be the party’s Presidential candidate for next year’s harmonised elections. He said it was also agreed that the Politburo should revert to its subordinate role of being the secretariat of the Central Committee. 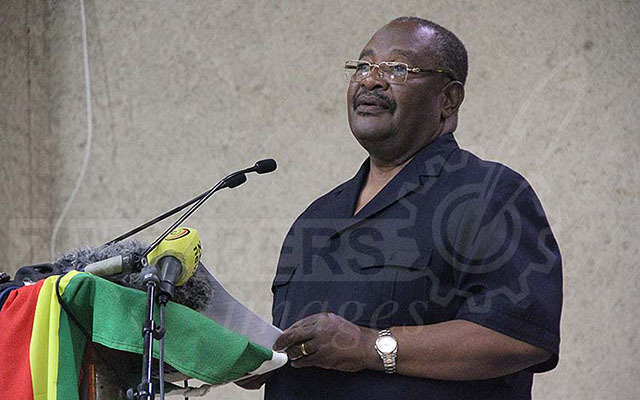 Secretary for Finance Cde Obert Mpofu, who chaired the meeting, said it was unfortunate that President Mugabe was leaving in a sad manner.